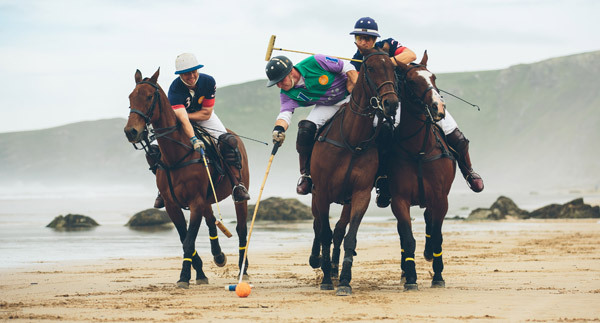 Organisers have confirmed an action-packed schedule for the newly extended 2013 edition of Veuve Clicquot Polo on the Beach at Watergate Bay, North Cornwall. For the first time the event will be held over a weekend – Saturday 18 and Sunday 19 May – and aims to expand on the success of 2012 which saw 4,000 spectators attend the exhibition polo match. Now in its seventh year, the new weekend format allows for more polo matches, spectacular equestrian displays, a Champagne bar and beach barbecue open throughout both days and live music. The whole event is still free for the public to attend. Arthur de Lencquesaing, brand manager for Veuve Clicquot UK said: “Veuve Clicquot is delighted to be continuing as title sponsor of Polo on the Beach for the seventh consecutive year. This unique event moves to mid May allowing Veuve Clicquot to toast the start of the British season against the stunning backdrop of Watergate Bay in Cornwall. The action begins on Saturday 18 May at 2.30pm with The Extreme Academy putting on a horse race with a difference as a world class kitesurfer races a polo pony along the beach at Watergate Bay. Many of the ponies used for polo are ex racehorses and can run up to speeds of 40mph. Spectators will then be given an introduction to polo with a guide to the rules from commentators and a demonstration on how to play before the first polo match of the weekend with Cornwall versus the Rest of the World. A public Veuve Clicquot Champagne bar and beach barbecue will be open from 12pm to 8pm throughout both days. Tom Joule, CEO of team sponsor Joules said: “We are thrilled to be returning as team sponsor the fourth year running. 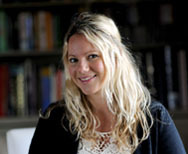 The event has been generating great excitement for the equestrian arena since its launch. Veuve Clicquot Polo on the Beach has been attracting some of the world’s top international polo players since its debut in 2007. England players Jamie Le Hardy and James Harper are just some of the polo stars to have taken to the sand. On Sunday 19 May, the First Great Western and Joules teams will return putting on a thrilling display of beach polo in a bid to win the Watergate Bay Trophy. Crowds can also enjoy demonstrations from the The Devil’s Horsemen display team and an introduction to polo before the big exhibition match at 5.30pm. Philip Edgerton, of team sponsor First Great Western said: “Last year’s result was so close and team First Great Western only narrowly lost, so I know that this year they’ll be determined to win. The 2013 winners will be announced at 6.30pm with a trophy presentation. A special VIP Veuve Clicquot Champage reception will be held on the terraces of Watergate Bay Hotel on Sunday for hotel guests and house party ticket holders. Afternoon tea will be served in the hotel’s Swim Club at 3pm and an evening Veuve Clicquot Champagne reception will continue from 7pm in the Living Space bar including food and live music. Tickets for the house party are priced at £110 per person. For more details and to buy tickets please contact Alison on:Alison@watergatebay.co.uk; Tel: 01637 861295. More information on Polo on the Beach 2013 can be found at www.watergatebay.co.uk/polo/ and on facebook.com/poloonthebeach and Twitter @PoloOnTheBeach. 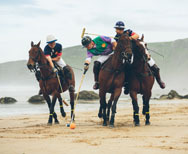 Since 2007, the annual Polo on the Beach has been attracting thousands of spectators to Watergate Bay in north Cornwall with spectacular exhibiton matches of beach polo. A champagne bar and barbeque are available on the beach as well as music and entertainment. High resolution images can be downloaded from our online image library.